Hands-off approach to oiled marshes — strategic or chaotic? 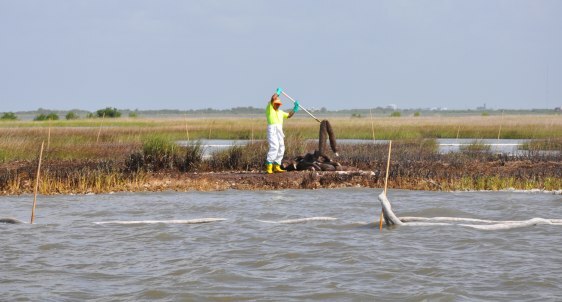 An oil spill worker handles an oil-soaked boom in a marsh off of Cocodrie, La., on July 13. About 234 miles of the Gulf's marsh coastline have been hit by oil.